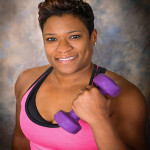 My name is Trina Potts and I am the owner/operator, heart and soul behind Giddy Up Personal Training & Giddy Up AT HOME. I WAS you. I understand you, your needs and your challenges. I have walked in those same shoes for the better part of 20 years and when I finally decided to take control of ME, I realized that the fitness industry did not understand me and my specific needs. They were not prepared or interested in who I was as a person: mentally, physically or emotionally. Giddy Up AT HOME, is the number one IN HOME personal training program in Georgia and Jacksonville, FL. We serve all of Atlanta GA, Savannah GA , Jacksonville, FL and their surrounding cities at an affordable cost. We hire and provide trainers with nationally recognized certifications, that are committed to getting results for you in a fun, healthy and safe way. We provide personal training services to all populations. Our focus is weight loss, strength training, toning/definition and helping clients with physical challenges. We have trainers that specialize in back/knee issues, diabetes, high blood pressure, clients currently in physical therapy, to name a few. We understand that nutrition plays a big role in your success! Whether just strengthening or weight loss, nutrition plays a big part. We provide nutrition help and guidelines to help you reach your goals, at NO ADDITIONAL COST. Our personal training program is built on an in-house developed concept called G Up-3 that focuses on fat loss and building lean muscle. We also customize programs for those of you who may have different fitness goals. You have a choice in fitness centers; however, we will proudly stand out as a mind and body fitness solution for women only that incorporates certified industry knowledge, diverse solutions, affiliates to help support progress, programs to reward results, professional and dependable trainers and flexible scheduling. Ladies, we already know we need to eat better and exercise more. Who doesn’t already know that? As a team, Giddy Up Personal Training and our affiliates will help you to live the healthy life you desire. We will help transform your mind and body through our customized programs. Whether your goals involve losing weight, building muscle, toning, increasing energy, improving nagging injuries, making current ailments less painful, knowing what to eat, or how to reduce cravings, the G Up-3 concept and our team of professionals will help you accomplish it! Let us help you on this journey!! It WILL be a challenge, but it will be one of the most rewarding things you do in your life; for yourself and your family. To read more about our services, click here Personal Training Services. Giddy Up At Home developed out of Giddy Up Personal Training because I wanted to expand my services, to outside of the studio, as well as include men and families. I was receiving considerable amount of requests to take my concept outside of Roswell, GA as well. I got into personal training because at one point in my life….I was significantly overweight, going through a divorce, working a corporate job 70 hours a week, and raising an 11 year old daughter alone as I tried to navigate my new life. Needless to say I found myself zapped of energy and the drive to do something for myself. I always took care of everyone else first. Before I knew it I had gained 50 lbs in just two years! As I looked to do something about my weight in an effort to change the way I looked and felt, I found that it was very challenging for me to find time to “fit” exercising and healthy eating into my life. Already overwhelmed, I felt that it was just one more thing to add to my daily checklist. Of course I was at the bottom of my priority list so it was often, dropped off the list. I tried the big commercial gyms and they just didn’t “fit” into my life. They weren’t flexible, the personal training programs they offered were too rigid, the employees were not friendly, and they didn’t seem to care about me and my personal needs. If I had a question about using the equipment, it was intimidating because everyone else seemed to know what they were doing and there were no employees to ask. I started talking to many other others and found out they were having the same challenges! I decided to try a personal trainer in a commercial gym, which was a disaster because they were not professional; always late, never checking my progress/regress or creating a program specific to my fitness or nutrition goals. I knew something needed to change because being “fit” is not an option anymore for those of us who want to be around for our children, grandchildren and not to mention, to just look and feel good during our lifetimes. I started researching and ended up teaching myself what to eat and how to work-out. I have to admit, IT WASN’T EASY, but IT WAS WORTH IT! It took me two years, but I was able to lose 50 lbs., gain 10 lbs. of muscle to help keep the fat off. I made fitness a lifestyle and have to say that at the age of 44, I am in the best shape of my life! All while running a business and raising my amazing daughter! Like I said, IT WASN’T EASY, I hit plateaus where I stopped seeing progress. I couldn’t completely break myself away from my “poisons” (bread, sweets, rice, etc.) and of course keeping the motivation up to work out 4 to 5 times a week. It’s strange to me that most fitness companies fail to explore how to meet the needs of its clients. Fitness needs to be more accessible to those who need 1 on 1 support. Most health clubs feel like nightclubs more than fitness centers and are geared towards bodybuilders, a turnoff for many of us. Most are more interested in being healthy and toned, feeling good, and being able to fit in, an impactful work-out around our hectic schedules.